SocialReport is a social dashboard that helps you track all of your social accounts, networks, websites, short links and blogs. It collects activity across all of your networks, then develops a number of reports to help you analyze your social data. I tested it out for a few weeks, and here is a look at some of the features. 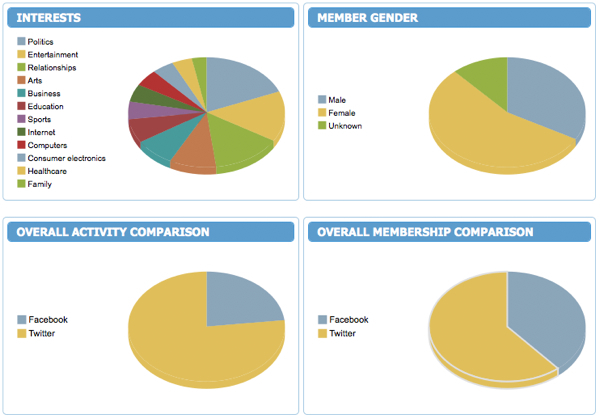 If you like line graphs and pie charts, you’ll love the way the data is presented. Everything is visual, with the ability to show you specific numbers with a mouseover. 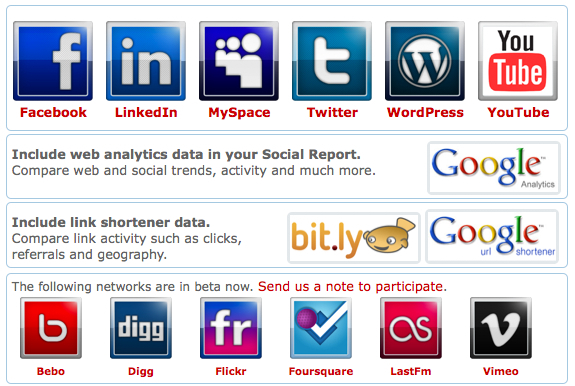 The following networks are currently in beta: Bebo, Digg, Flickr, Foursquare, LastFm and Vimeo. Overall, I love the depth of the data captured, and how it’s presented.Â The service is fairly affordable with a free trial available (you will have to provide a credit card for the free trial). There is such as vastness of data available, though, that it’s a bit challenging at first to figure out what reports to focus on. Ultimately, it’s just pretty data until you do something with it. You need to have a plan to interpret the data and apply it to your social activities to make a tool like this worthwhile. 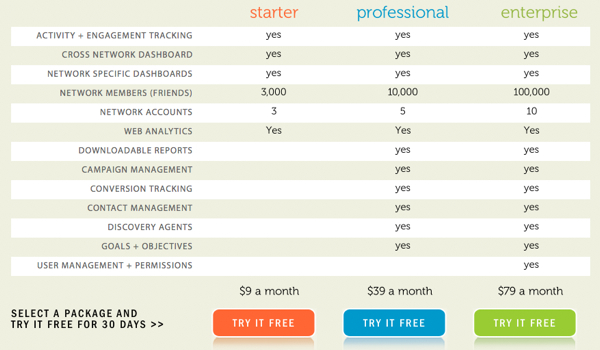 Do you use SocialReport or another similar social dashboard? I’d love to hear how you use the data collected to improve your social media activities.